volcanoes! "it might just be a coincidence"
Sheesh the 1.7 Trillion pounds of Lava deposited on Hawaii this spring and summer was exactly triggered by a large EQ in the Hilina Slump on the coast of the Big Island. And that volcanic event was shutdown by a large EQ in Indonesia, directly related. Read for yourself, it is amazing. All the above is clearly documented in this website. 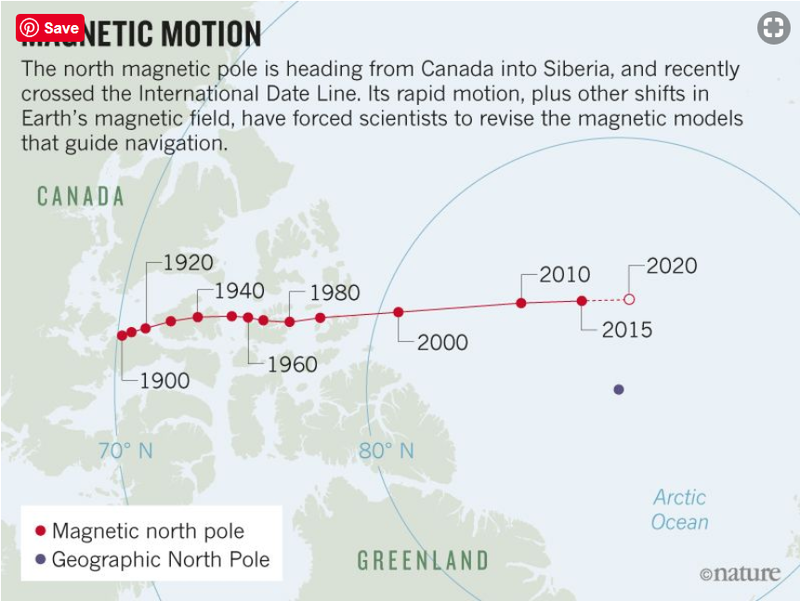 jumps the shark with the "erratic motion of north magnetic pole" and "This meant that the magnetic field had lurched just after the latest update, in ways that planners had not anticipated." 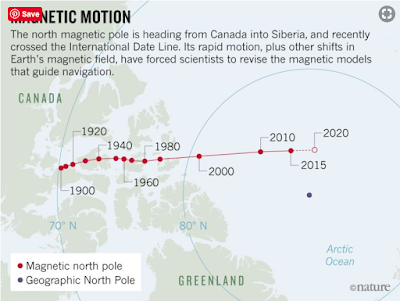 They are totally pretending that pole movement is unexpected and somehow chaotic at this time. Since 2006 I have been following the "Pole flip". They even manage to get the "Russia Russia Russia" meme in, with the implication that the mag pole is defecting to Russia (Siberia). But as far as the analysis and debunk of this "science" paper, please read what WUWT has to say. WUWT is a great site on climate and more, although they somehow completely miss the boat on nuclear energy and waste.